Could you share the schematics for this? I'm working on a more minimalist version and can't seem to find much documentation on the backlight. backlight is described in the panel datasheet. just pick your favorite led driver IC. Would love to buy one of your boards. Have been trying to do something similar for a little while but the cost of prototyping multilayer boards is prohibitive in Australia. Yea, I'll see what I can do. Got a few requests already on and off-line, just gotta load these into machine and assemble.. Maybe this week since holidays are coming up. Im also interested in the board. Would love to use it to make a high resolution cintiq/ super tablet. Could you bake one for me too the STM32 could be very useful for my project. Thanks. hi timmy, i want buy one, is ready for sell? I also would buy some. Will it drive the iPad 1 lcd? - I will need only this board, and an iPad 3 LCD, right? Or will I need to work on the board like solder more components? - Will this board independently power the LCD panel on its own (using the onboard USB for power)? I mean can I use a Mini-USB to USB wire and connect the board to an iPad(2A) or an iPhone(1000mA) charger directly, and the screen will function? No need to solder anything. If you read the install manual thats on the site, you just plug in fpc cable (correctly) and connect usb. Yes, it powers LCD through USB connector (slightly out of spec, but works fine). It doesn't need PC>USB to function, so yes you can power it directly from say a USB charger. Hey, Can you make and sell me 4? Email me at dillonkenney003@gmail.com with price please. Thank you in advance. It would help if you a) would read the entire post which tells where to get these b) leave valid email. Could you send one adapter? Please send the details on payment and shipping. I've just discovered your post. I really like that you use constant current source as well as my favorite microcontroller (I tend to use the F3/F4 due to Ethernet though). I'm actively contributing to ChibiOS - you should check it out if you have not heard of it before. Anyway, I'd be really interested in your board do you still have any? Please contact me at matthias[@t]blaicher.com. Hello, i use STM32F series and be really interested in yout board. Do you have just bare PCB? I have access to surplus eDP panels here at work from scrapped prototype tables and phones. I use STM32 and TI Tiva at home for my projects. I would be interested in two boards if possible. PS:I stumbled across these boards that seem like a much more fun Rpi+ http://hardkernel.com/main/main.php (No affiliation, just neat). So all I need is the board and the display? And I'm good to go? Whats the best way to house a display? I'd like to mount it to something. Where did you get your display? I was thinking about getting a replacement front glass, and a cheap ebay case and fitting it all together, so i can get some sort of mount for my desk. Ideally I want to be able to rotate it from portrait to landscape. Display rotation is handled by the graphics driver, it works just fine. 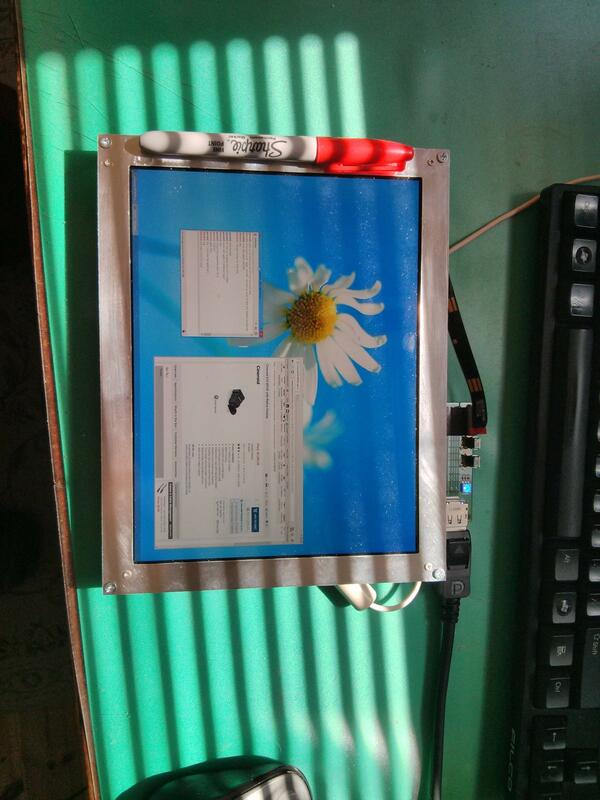 As for panel itself, I just had my pal in China pick it up from some local seller - I don't know of any specific places to get them other than ebay/aliexpress/etc. You want the one WITH fpc cable - some guy recently contacted me he bought a panel off ebay that didn't have the flat wire that connects to my board - clearly that was not an ipad 3/4 display. I meant physically rotate it, on a mount, back and forth. I'll be on the look out for a display with fpc. Thanks for the heads up! I just grabbed one of these from you. I got it. It seems to work, sorta. Graphics card recognizes display and resolution characteristics but the color is totally effed up and washed out. Wondering if you have any insight on what I could be doing wrong? Or if the display I bought is trashed? It's sorta tough because I have a lot of unknown characteristics here. Pics? Also, you should probably reply by email instead of here. Is the cable inserted correctly? Is your video card capable of DP1.1 or whatever so that it can send > 1080p video? All the boards are tested with a LP097QX1-SPA2 screen, so they are working when they leave here. 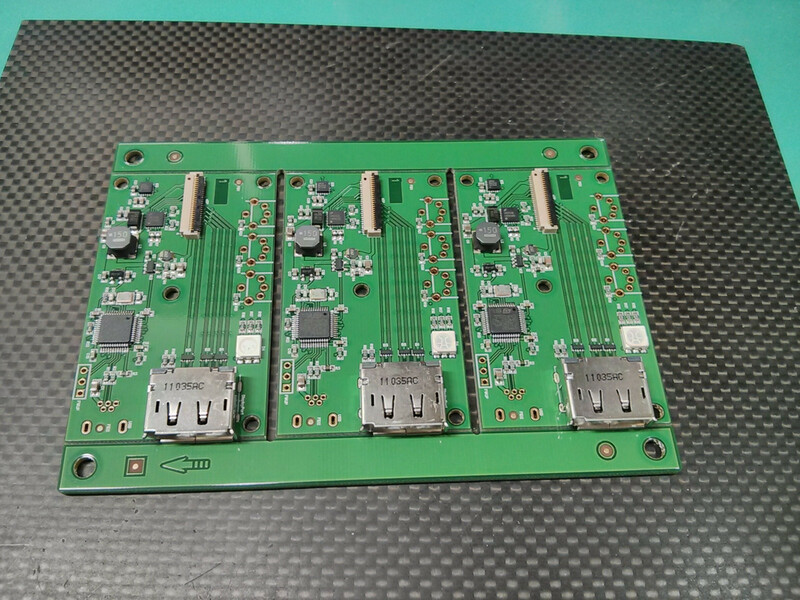 Hi mate, I'm curious if you have any of these boards with a MiniDP socket instead of the full size one? If not, is there any particular reason? Several, one being that miniDP connector is not very avalable, and that it's not very SMD-friendly (its half-dip, half SMD, including signal connections). Hi, do you know if it would drive the ipad mini retina? it also features a 2048-by-1536 screen, but it's 7.9 inches at 326 ppi. Can't find the display's code. "Our little Retina has an LG display, powered by a Parade DP675 LCD driver, similar to the DP655 found in the iPad Air. Also present at the party, a TI TPS65143A and a pair of TI TPS65195, all likely LCD power supply ICs." I need to drive a less than 8 inches screen at the highest ppi possible...and if it's displayport, even better. Connector looks different, so probably not. It is likely displayport, but nobody has these screens, nor the specs for them, what's the point? The screens are available online, not as much as the LP097QX1 but they are. On the ipad mini retina the driver seems to be almost identical to the Ipad air. Just different connector. Point is that 7.9-inch 2048-by-1536 fits exactly my need. well, MY point is I don't have the screen or the specs, so until I do there is not much I can do about it. did you have any more info other than "it's available online"? Hi Timmy. Please could you make some more of these (or just one), as they say sold out in your shop. I am VERY Interesting in buying one. OK, Thanks. I'm just so eager because I am working on a project that finishes at the beginning of July. I'll be ordering it as soon as you have it back in stock. Hi Timmy. Please could you leave a message on this post to let me know when it's ready. Hi Timmy, I would want to order one. If you have more to sell please let me know. Thanks! Send a message through contact form on abusemark.com - i have some extra stock for returns/repairs, or else you can wait until early next week as I'm currently assembling more. Just ordered it. Thanks so much. (My name is Isaac by the way - I mentioned it on the message attached to the order). Hi Timmy, I would want to order one, I really need one of these. Please let me know what you can do for me! yonray@yahoo.com. I need one really bad! 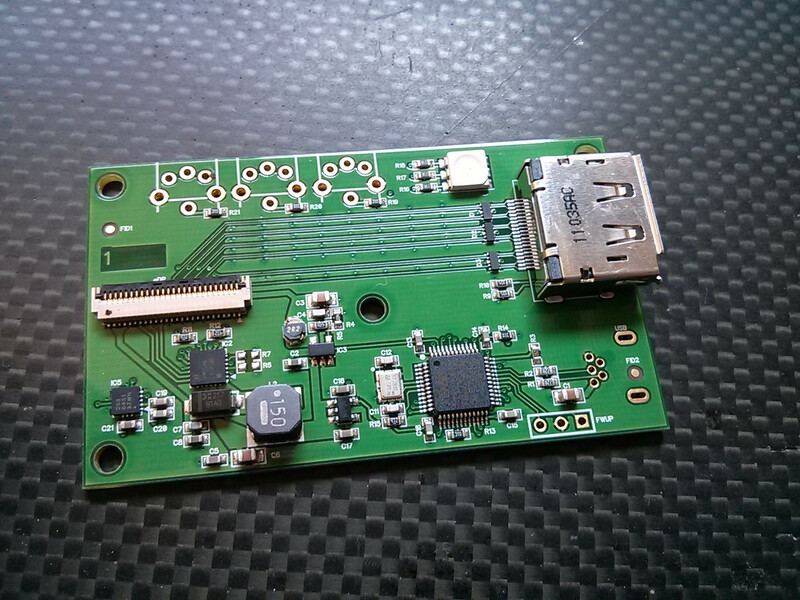 Is there any chance you might assembe one of the early HDMI boards that you mentioned? I'll be connecting the panel to hdmi 1080p devices(mostly cameras) and would hate it if I had to use hdmi to dp adapters. You can't use HDMI adapters anyway - none of the existing ones have proper firmware that handles this screen, and even if they did, the camera wouldn't support it as it only outputs 1080p and there's no scaler. I'm working on proper HDMI solution (and not a hack involving 2 evalboards sandwiched together), but it's not a high priority project (I already have 3 4K screens on my desk, don't need more), so it will be done when its done. are there any news regardin the HDMI in version? I just don't have time to take it beyond prototype. Maybe soon tho. what's wrong with my shop link at the top of the post?